In his State of the Union speech in January, President Obama announced a new proposal to make two years of community college free “for responsible students across America.” Many educators praised it as a way to prepare many more students for a demanding job market, but a survey released Friday suggests that most of them don’t believe it will ever happen. The survey, conducted by Gallup and published by Inside Higher Ed, found that just 39 percent of community college presidents believe their state legislature is likely to support the plan, even with federal support. That number goes down to 13 percent if there is no new federal support. The proposal would create a partnership between federal and state governments: Washington would cover three-quarters of “the average cost of community college” and states would fund the rest. The pessimism of community college presidents, who often know their state’s political landscape quite well, doesn’t bode well for the success of the program. But the survey didn’t explain why these presidents feel the way they do. In an interview with FiveThirtyEight, Zachary Hodges, the president of Houston Community College’s Northwest region, suggested that political spending battles in state legislatures could doom the idea. And he suggested that the president’s plan might not even be necessary or desirable. Based on data from the College Board, it does seem like community college is becoming increasingly affordable. 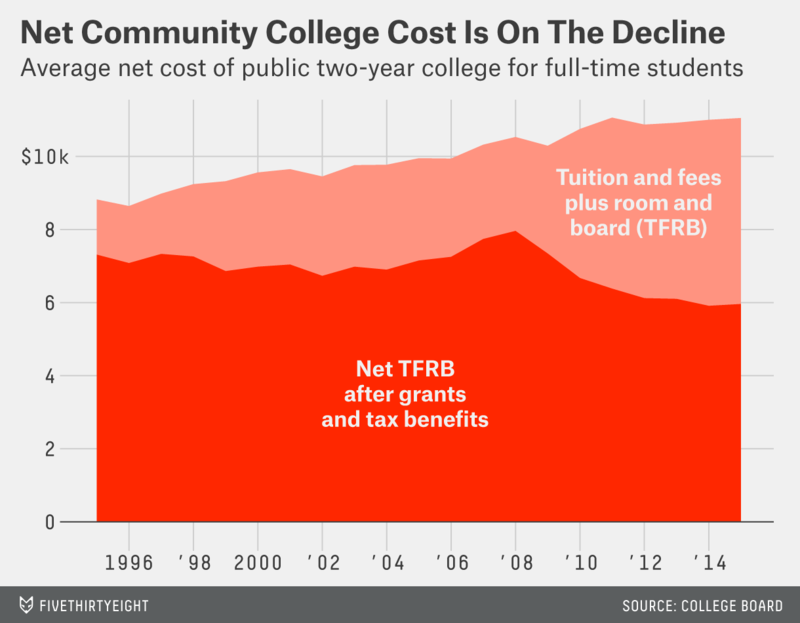 While the published prices for tuition, fees, room and board have been increasing, the net price, which takes into account grant aid and tax benefits, has been declining since 2008. For now, the White House is continuing to push the proposal, but will it be able to convince states to join the partnership? 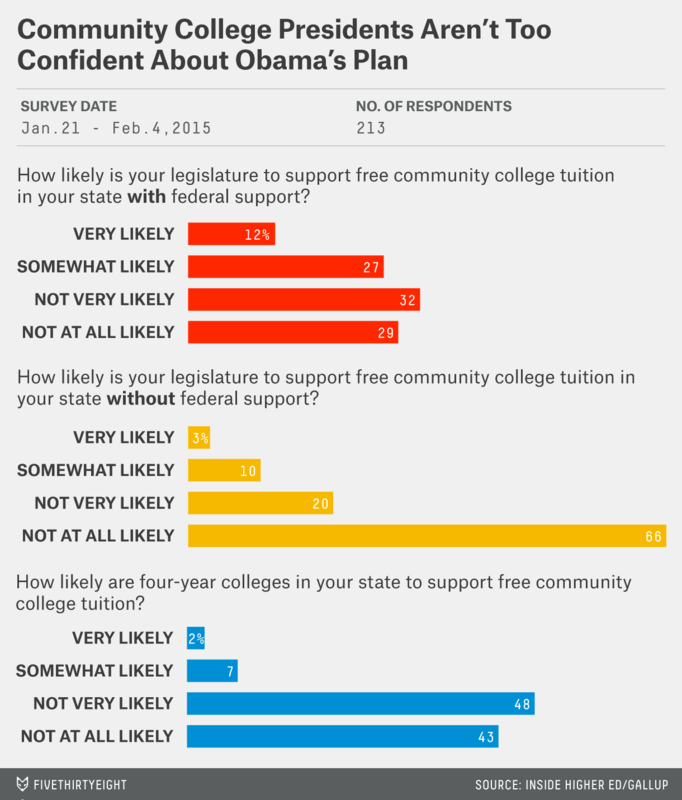 If community college presidents’ forecasts are accurate, it seems like the answer will be no.